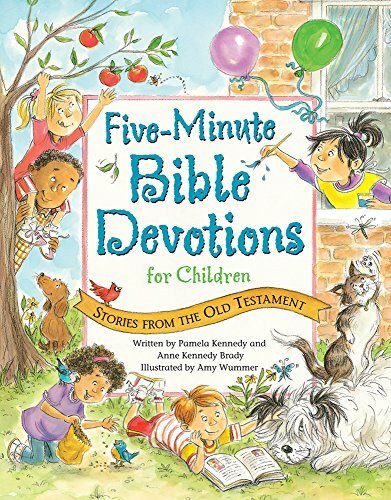 This extension of the popular Five-Minute Devotions line introduces children to the Old Testament and encourages them to think about the lessons in the stories. Author Pamela Kennedy teams up with her daughter, Anne, to create a delightful Bible devotional that is perfect for any time. Each devotion features a brief retelling of an Old Testament story and a lesson related to situations today's children face. Questions reinforce the message, and a brief prayer and a Bible verse complete the text, which is accompanied by whimsical illustrations. Ages 4-8. If you have any questions about this product by Ideals Children's Books, contact us by completing and submitting the form below. If you are looking for a specif part number, please include it with your message.